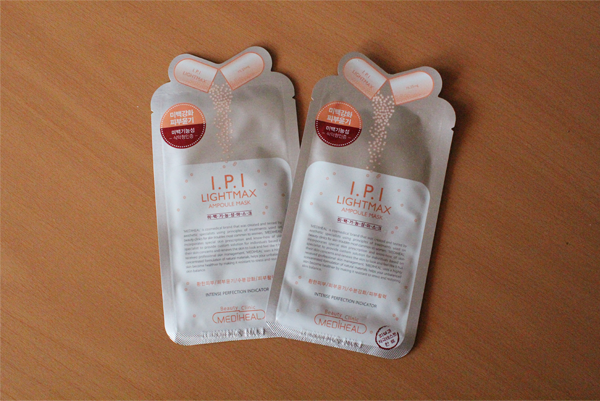 Back in April, dear Camy sent me several masks from Beauty Clinic's Mediheal range, 2 of which are the I.P.L Lightmax Ampoule Mask. Thanks Camy! Beauty Clinic is a brand developed by some of the top clinical experts in Korea and is reportedly used by many Korean celebrities. One of the ranges that the brand has is Mediheal. It was created and tested by aesthetic specialists. This range provides treatments for specific skin troubles and uses only highly concentrated essences, that are filled with safe and effective dermatotropic ingredients. These include Marine Collagen, Caviar, Tea Tree Oil, Witch Hazel Water, Hyaluronic Acid and Vitamin C Derivative. 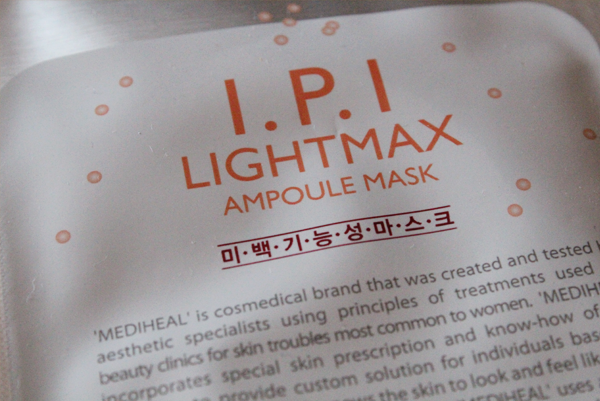 The I.P.L Lightmax Ampoule Mask is a whole concentrated ampoule of Vitamin C-AA2G, Arbutin and Mulberry. This trio creates a brightening effect on the skin that mimics that of Intense Pulse Light's. With continued usage, it lightens pigmentation and evens out the skin tone, leaving your skin well-hydrated and radiant. 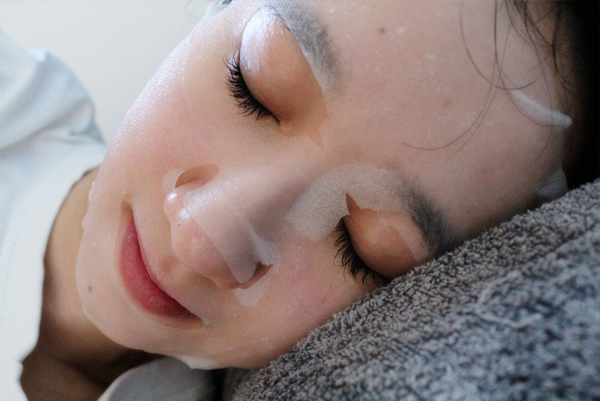 The mask is to be used 2-3 times a week, with a duration of 15-20 minutes each. 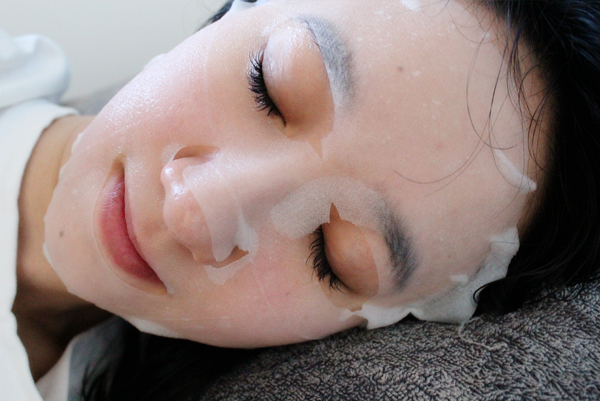 After removing the mask, pat the essence into your skin till it is fully absorbed. Made of high quality Silk Cellulose material, the mask uses the Paper Thin Technology so that it is, well, paper thin. This means that the mask adheres like a second skin. It allows your skin to breathe easily during the treatment and ensures that most, if not all, of the essence gets absorbed into your skin completely. I like my masks cold so about an hour before application, I stuck the mask in the fridge. After cleansing my face and applying toner, I put the mask on for a good 20 minutes before removing it. 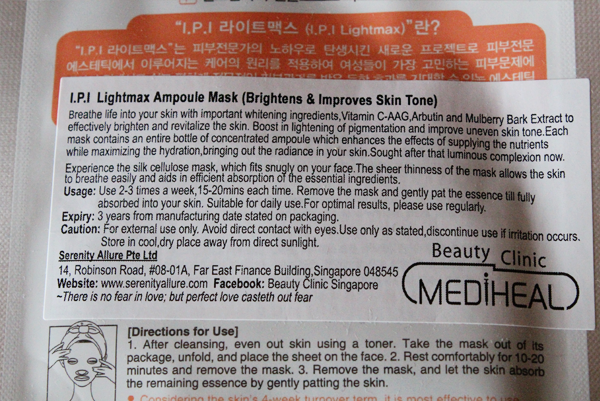 When I first took the mask out of its bag, it was literally soaking with essence. But just like what Beauty Clinic said, the mask stuck on like a second skin and I didn't have uncomfortable drops of essence meandering down my neck. I didn't experience any irritations even though my skin is slightly sensitive (No tingling feeling whatsoever!). After 20 minutes, my skin felt like it had undergone a mini facial spa. The slightly red splotches of my skin were calmed and my complexion looked clearer and was adequately moisturized. The brightening effect wasn't very obvious but I reckon it would be when used regularly. Hi Fenny (: Yeah, I really enjoy using it!